Urban Jungle is a team of strategists, artisans, doers and dreamers. The kind of people who love what they do and take an extreme amount of pride in their craft. Every team member—regardless of his or her specialization, is carefully chosen based on their commitment to five core values: Respect, Integrity, Fearlessness, Collaboration and Communication. 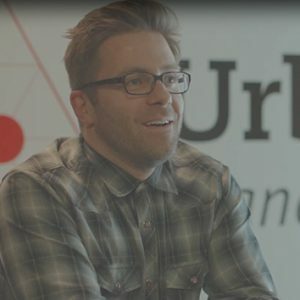 Since founding Urban Jungle in 2000, Craig has led hundreds of successful brand, strategy, marketing, design, and communication projects for a diverse client base among every major service sector. Craig has created innovative marketing strategies for Mr. Lube, ING Insurance, Clinique and Hudson’s Bay and has collaborated with nearly 100 Alberta-based business owners to position and grow their organizations. As Urban Jungle’s Owner, Managing Director and a Certified Graphic Designer (CGD), Craig brings vision, leadership, flair and diverse experience to every project he’s involved in.